Firstly, this isn’t a sponsored post. I have been sent this by Sony to try out and if I liked it, give my feedback. As a long time fan of Sony, this was something I was more than up for. I’ve always been obsessed with Sony innovation, as a teenager I was rarely without my Sony Clié NX73V PDA (or the SJ30 and UX50 – the list goes on) and have even just upgraded my camera this week from my Olympus E-PL7 to the Sony A6000 (will do a post on that in the coming weeks – loving it so far!). 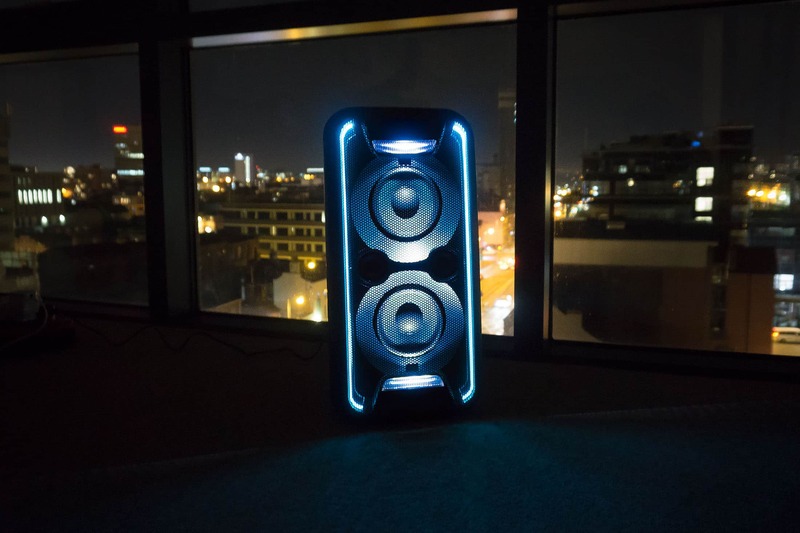 The Sony GTK-XB5 High Power Home Audio System is part of their #ExtraBass line of products that delivery just that, extra bass. But beyond simply amping up those lower-end frequencies, the emphasis is also put on the quality and clarity of the treble and centre-level sound. 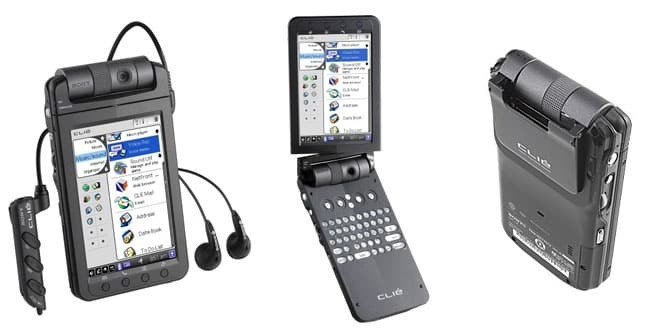 I’ll be really honest, I have seen these before at Currys/PC World and didn’t give it much of a second look. Why? Well to be honest, I’m not a party animal and so strobes and coloured lights didn’t and still don’t really cut it for me. But once you turn them off, you’re left with one of the best speakers I’ve ever owned, and that list includes both Pure and Bose. The GTK-XB5 plugs into the wall and is sadly not battery charged, which unless you throw house parties, does make me wonder why you’d want the light show – otherwise I’d be up for taking it down to my local supermarket car-park and blasting the theme from RuPaul’s Drag Race out the back of my Dacia Sandero. Speaking of which, I’ve put together an awesome Extra Bass Spotify playlist. You’re welcome. 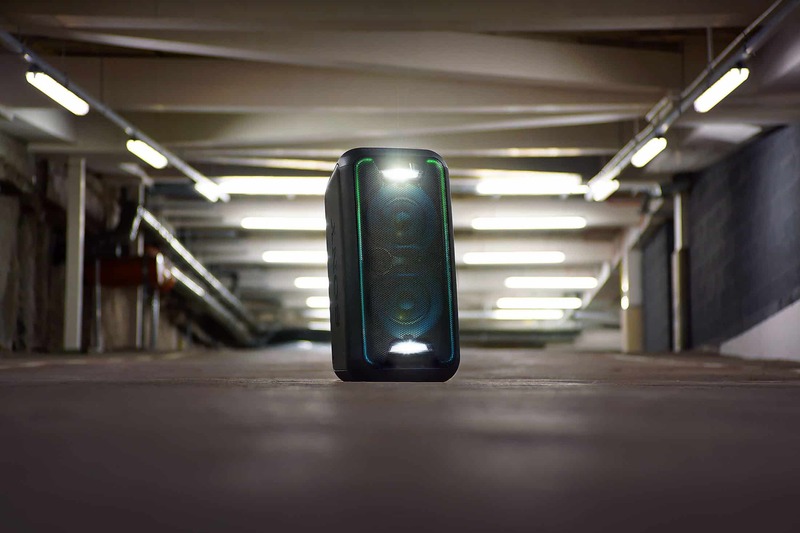 The GTK-XB5 connectivity is through Bluetooth-wireless as well as accepting L+R cable connections. I’ve had it working with my Galaxy S7, Windows Laptop as well as plugging a Google Chromecast Audio into it, and it took them all fine. If, like my Galaxy, your phone has NFC wireless communication, download the Sony NFC App and all you have to do is tap the speaker to connect. It’s loud, like, really, really loud. ‘Normal’ listening volume has the volume on the speaker on full-whack, but the volume on whatever I’m using at around 4/5% MAX! There’s also a button to turn on and off the Extra Bass, which is a great consideration if like me you live in an apartment building. The Extra Bass isn’t dull and 2D, it’s rich and well metered. At the same time, your music and lyrics sound crystal clear as you can hear every warmly-sung syllable. 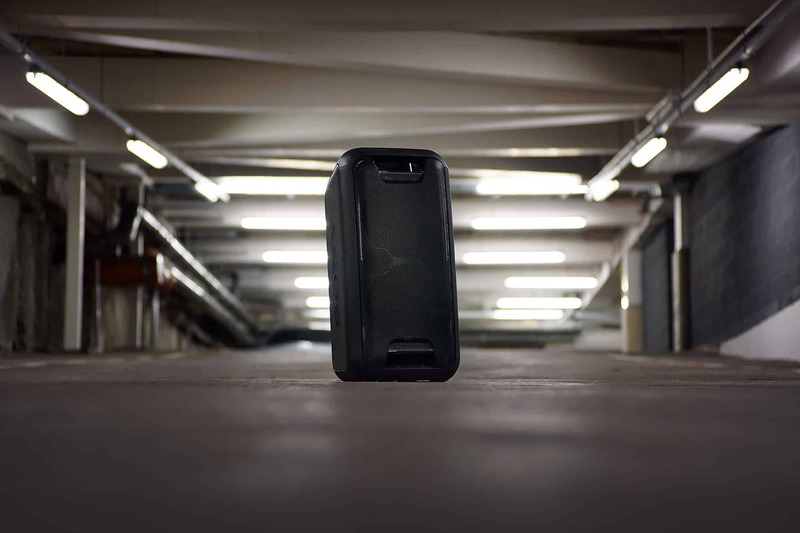 The stereo sound works if you have the speaker horizontally or vertically giving you the best space options – bearing in mind this is not small at 27.4 x 25.6 x 52.4 cm, weighing in at 7 Kg. More? OK, you can connect 2 or 4 of them together, wirelessly, to create true stereo or immersive surround sound. I’ve heard what wildness 1 delivers, I would give my left arm to watch a Marvel film sat in the middle of 4 of these! 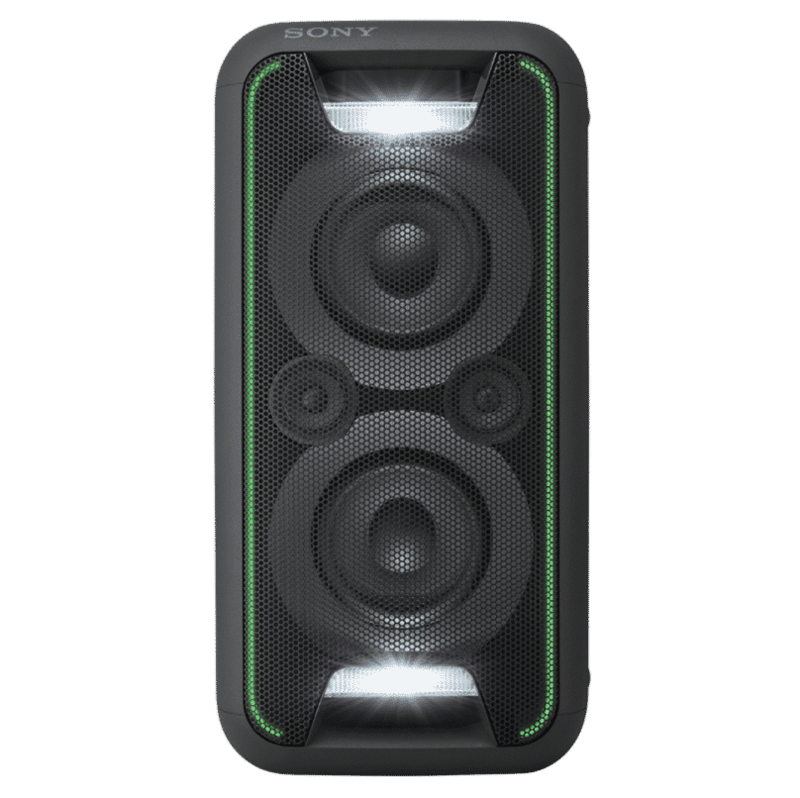 The Sony GTKXB5 High Power Home Audio System comes in black, green, blue and red. This article first appeared on MANFACE written by Thom Watson. It was published on Sunday 22nd January 2017 and was last updated on Monday 3rd April 2017 at 12:32pm. It's categorised under Editorials, Gadgets where you'll find more related content. These are a pile of crap, just got 2 of them, heavy bass but not clear, midrange is moshed together and bleeds into the bass and treble and as for the treble it sounds like it’s vibrating on tissue paper, if you wish to spend 10 or 15 mins trying to add a speaker so you can play 2 together then don’t bother because the second you switch one off they both go off and they lose the setting which means if you have 2 for your tv then every time you turn them on you will have to go through the hit or miss process of connecting the 2 speakers together again. Biggest pile of crap Sony have ever made. Comparing these to Bose as some domis a joke and I can seriously only say you must be tone deaf as I’ve heard £15 bookshelf speakers sound better than this crap. Really can’t believe Sony have come out with this rubbish.